Jean-Marc Chatelanaz, director of the “Full Track and Trace” project, explains the importance of knowing the origin of parts and ensuring they remain traceable. “This project helps achieve quality, logistical and industrial aims”. 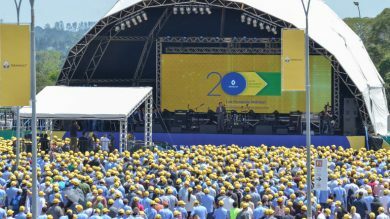 This year, Groupe Renault, is celebrating 20 years of industrial presence in Brazil. With record market shares, Brazil is a land of opportunity for the Group. The investments made in the Ayrton Senna complex in Curitiba make it a high-performance industrial complex. Today, the site celebrates this anniversary and is delighted with the ranking of the Brazilian magazine Você S./A., which places Renault 8th out of 500 companies on the list of companies where it is good to work! Groupe Renault has made an active commitment: for the company to reap the full benefits of the cultural wealth and diversity offered by all its constituent parts. Gender mix and gender equality is a key area of focus. … in a sector that has historically been less inclined than others pursue this fair balance. 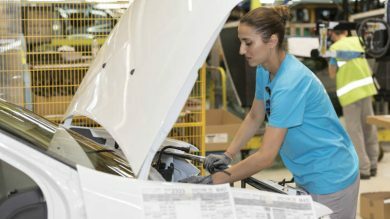 It is primarily for this reason that Groupe Renault is particularly keen to recruit women to its workforce, at all levels of the command chain. 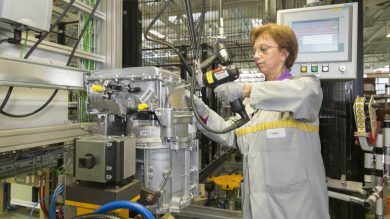 We talked to Georgiana Mutu, age 34, production workshop manager in engine assembly at the Pitesti plant (Romania), where she manages over 260 men and women. A wide-ranging digital transformation has been in place at all the group's plants since 2017. The Maubeuge plant, already recognized for its performance, is fully committed to the digitalization of its production methods. 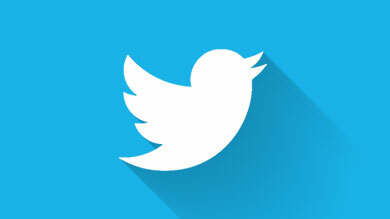 The aim is to connect people, products and processes, from orders through to vehicle deliveries to customers. An essential player in the electric vehicle excellence center in France, the plant is planning to invest in the next generation of Kangoo and Kangoo Z.E. light commercial vehicles. The site is rolling out the resources to prepare for the future and adapt so as to respond to customer requirements and new challenges in the automotive sector. 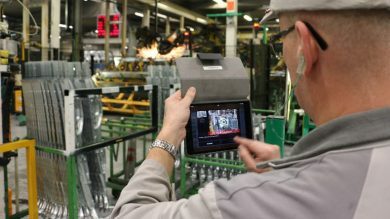 While the customer is central to the connected and competitive plant of the future, the everyday lives of employees are being simplified by digital technology. More and more operators and managers are equipped with smartphones or tablets to make their work easier. Diana Davidoiu, Quality Controller at the Pitesti plant in Romania, talked to us about the digitalization of her profession. Renault is celebrating its 120th birthday this year, and the Cléon plant is turning 60. 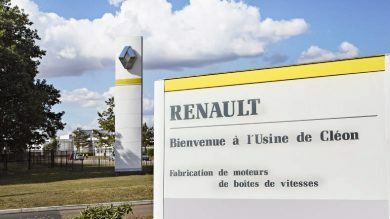 Since 1958, the site has built a solid reputation which, today, has made it a central actor in the Renault-Nissan-Mitsubishi Alliance that is focused on the future. The plant of the future entails the global digital transformation of a manufacturing site. It facilitates production by connecting people and processes. Digitalization fosters the dissemination of the right information to the right place at the right time, the aim being to increase customer satisfaction. As reflected in the work of Gabriel Tanasie, Head of a Connected Basic Work Unit at the Pitesti plant in Romania for a year and a half and connected just recently. With nearly 100 million engines and gearboxes produced, the Cleon plant is celebrating its 60th spring this year. Originally created to manufacture gearboxes, it also produces gasoline engines, diesel engines and electric motors. Resolutely looking to the future, it is one of the Group's pilot sites for industry 4.0. Faced with a rapidly growing market, the plant will triple its electric motor production capacity and industrialize a new generation electric engine from 2021. 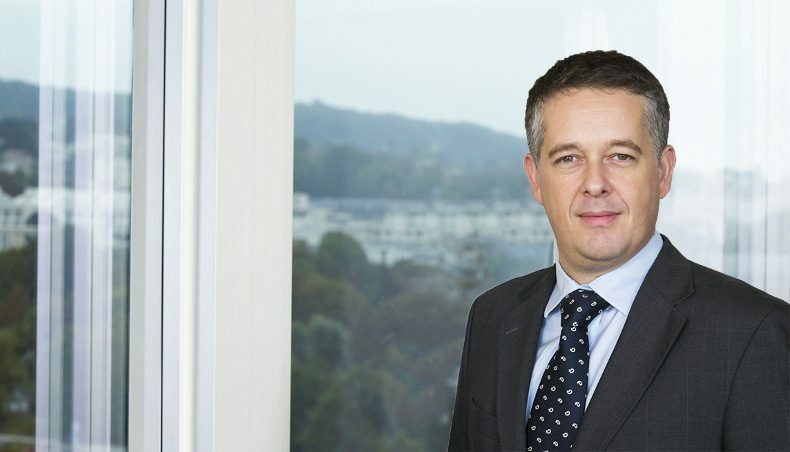 Groupe Renault is accelerating the deployment of its Drive The Future strategic plan with an investment of more than one billion euros for the development and production of electric vehicles in France. 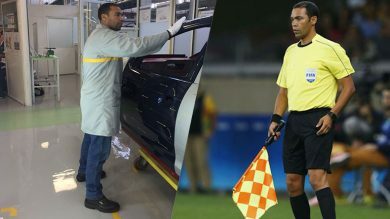 Redouane Achik: Group Employee, World Cup Referee!